My ‘At the Airport’ column this month for USA TODAY takes a look at the days airports traditionally see the highest traffic and the plans in place this year – given all the talk about longer-than-usual TSA lines – to smooth things out. The good news is that airports and airlines, some of which have pitched in their own funds for extra staffing, are reporting improvements in passenger processing times. And for its part, TSA is working overtime to reassure travelers that its 10-point plan is having its intended impact. At Hartsfield-Jackson Atlanta International Airport, the Sunday after Thanksgiving is traditionally the busiest travel day of the year. But Independence Day and Labor Day weekends are also heavy. 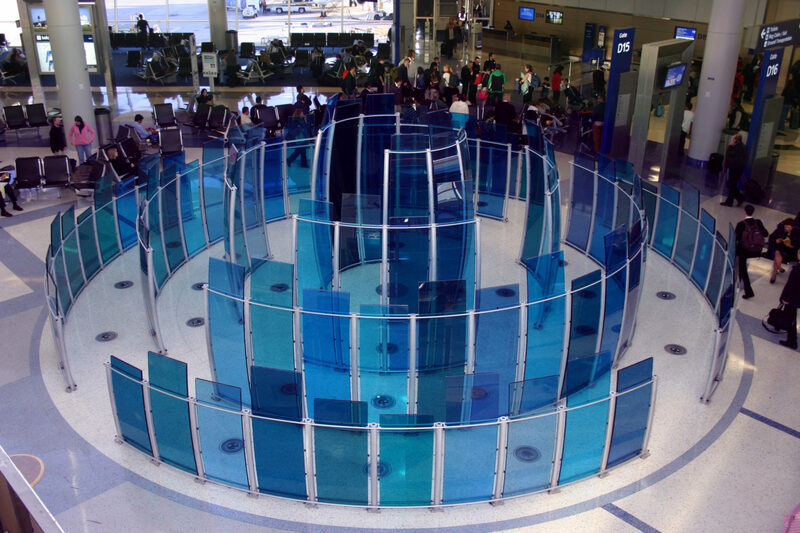 ATL is also where TSA partnered up with Delta Air Lines to install and test two “innovation lanes” at one security checkpoint to speed up the lines. In 2015, the busiest travel day at Chicago’s O’Hare Airport was Aug. 3 (92,497 originating passengers), with July 6 (90, 276 passengers) not far behind. This year, the Chicago Department of Aviation expects a variety of high-traffic days at ORD during June, July and August and is working with the TSA and its airline partners “to explore every possible option” to help reduce TSA wait times, said CDA spokesman Gregg Cunningham. Denver International Airport usually sees its peak travel days in July and August and this year os expects the busiest traffic days during the July 4th holiday week. To help out at the checkpoints this summer, DEN has hired seven contract security workers to assist with passenger divesting, bin management and line management. July and August (peak season for cruises to Alaska) are traditionally the busiest months at Seattle-Tacoma International Airport, and Thursday and Fridays are the busiest traffic days and this summer SEA hired 90 full-time equivalent private workers to free up TSA personnel. Peak days at San Francisco International Airport occur during summer, and this year should be no different and to prepare for peak travel days airport officials meet weekly with the TSA to review security checkpoints and other security topics, and have planning meetings with airlines, service providers and other organizations to make sure staffing is appropriate for peak demand periods. Elsewhere, Los Angeles International expects a record 24.5 million passengers to travel through the airport this summer, an increase of 7.3 percent over last summer’s record 22.8 million travelers. The busiest week of the summer is expected to be July 18-24. Based on three years of data, the Port Authority of New York & New Jersey predicts the busiest day of summer at JFK International Airport will be August 11, July 28, August 4, July 21 and July 14, in that order. Each of JFK’s terminals are managed separately, but the company that manages Terminal 4 (JFKIAT) teamed up with its 32 airline partners to invest more than a quarter of a million dollars on increasing staff levels at the terminal’s TSA checkpoints through September 10, the weekend after Labor Day. While March sees the busiest passenger traffic at Phoenix Sky Harbor International Airport, PHX officials expect the July 4th weekend to be the peak travel time this summer. Miami International Airport also sees its highest travel days during the winter travel season. But for the busy summer season, MIA officials went to Washington, D.C. to meet with TSA Administrator Peter Neffenger and other high-ranking federal officials, and came away with a commitment for 60 additional screening officers. Dallas/Fort Worth International Airport is one of the beneficiaries of the $4 million American Airlines is spending this summer to help ease checkpoint backups at a variety of airports and, on peak days, the airport reallocates its volunteers, ambassadors and other staff as needed. Going forward, DFW will have one more tool to help manage checkpoint traffic: in June, the airport’s board of directors recently approved a $600,000 contract to have AT&T anonymously track passenger cellphones in the airport to gather real-time information on wait times.